What type of learning style best suits you? For children, this is very important in the early stages of their development, as it shows the best way that particular child can learn most effectively as they grow up. On the playground, learning styles are definitely related, as sensory-rich playgrounds can offer many different experiences for the kids. By having more sensory experiences available, your children will learn and gain more during their formative years. 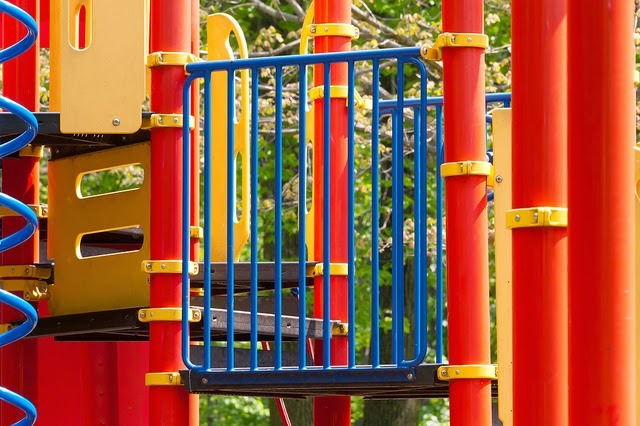 For a playground to have maximum benefit for the growth and development of children, it should include five specific sensory areas - visual, vestibular, tactile, kinesthetic, and auditory. 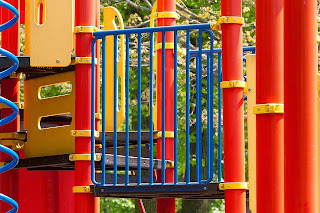 A child who is a visual learner would benefit the most from a playground full of vibrant colors, as it offers the most stimulation and will help form their perception of different things. Sensory activities are great because they help your children explore the world. Kids develop their senses the most when they're actively participating in something, and a great playground can offer all of that. Here are a few different types of sensory areas, and how you can create a great playground for the children. Tactile - There are many different ways that you can create the proverbial 'Sensory Play Wonderland' for the kids. One way to do this is to make it feel "earthy." This helps with the tactile sensory area, where children will want to explore different textures, which are particularly prevalent in nature. This would refer to things like the grass, dirt, and more. With that said, including something like Garden Arches in your sensory play wonderland could be especially useful in this regard. Vestibular - This sensory area in your child's growth and development has a heavy emphasis on their sense of balance, as a result of small, liquid-filled tubes in their inner ears that help contribute to this. Not only that, but vestibular activities help children orient themselves in space. When going down a slide, for example, they're feeling themselves move through space; both their body and mind adjust to this type of situation, and that's where balance comes back in. When becoming comfortable with balance, a child can adjust their vision and speed. One great addition to a playground that would cover this sensory area is a balance beam. Kinesthetic- Another important aspect of sensory learning is kinesthetic, which correlates a child's position, weight, and movement with their muscles and joints. The kinesthetic sense helps develop spatial awareness and influences a child's eye-foot and eye-hand coordination. One way to incorporate this type of sensory activity into a play area for your children is to include a See Saw; this piece of equipment will allow children to not only develop these sensory skills, but to help increase them. With a See Saw, eye-foot coordination is everything, as the child will learn when to use their feet to burst from the ground. Not only that, but a See Saw is great for learning about teamwork. What learning style best suits your child? Do you have any suggestions to share on great sensory activities?